Then the governor's soldiers took Jesus into the Praetorium and gathered the whole company of soldiers around him. 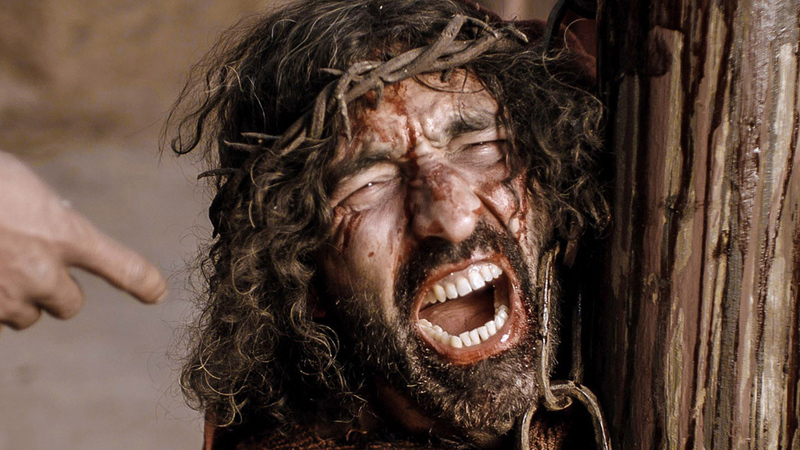 They stripped him and put a scarlet robe on him, and then twisted together a crown of thorns and set it on his head. They put a staff in his right hand. Then they knelt in front of him and mocked him. "Hail, king of the Jews!" they said. They spit on him, and took the staff and struck him on the head again and again. After they had mocked him, they took off the robe and put his own clothes on him. Then they led him away to crucify him (Matthew 27:27-31). The soldiers' assignment was simple. Take the Nazarene to the hill and kill him. But they wanted to have some fun first. 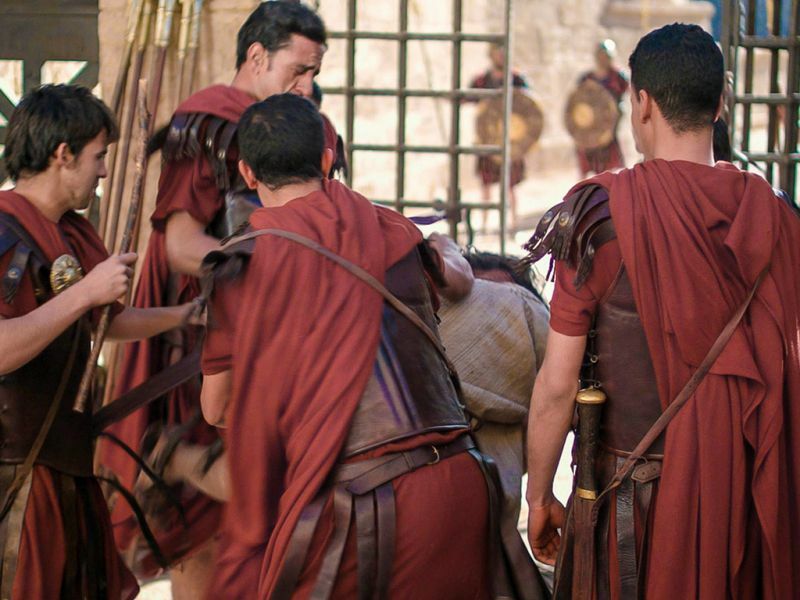 Strong, armed soldiers circled an exhausted, nearly dead, Galilean carpenter and beat up on him. The beating was commanded. The crucifixion was ordered. But the spitting? Spitting isn't intended to hurt the body — it can't. Spitting is intended to degrade the soul, and it does. Maybe you haven't spat on anyone, but have you gossiped? Raised your hand in anger? Ever made someone feel bad so you would feel good? Ever made someone feel bad so you would feel good? Jesus said that the way we treat others is how we treat Jesus! "What Do We Do to Jesus?" by Max Lucado is licensed under a Creative Commons License. Heartlight encourages you to share this material with others in church bulletins, personal emails, and other non-commercial uses. Please see our Usage Guidelines for more information.